Another chocolate dessert! You know my favorite ingredient now! 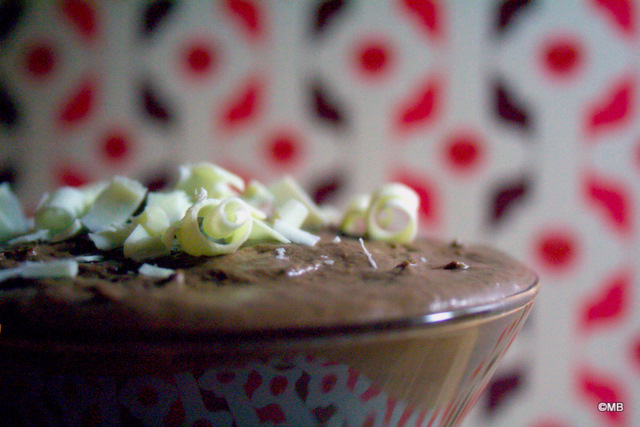 I wanted to bake this dessert to see if it was easy to get the “mousse” texture. 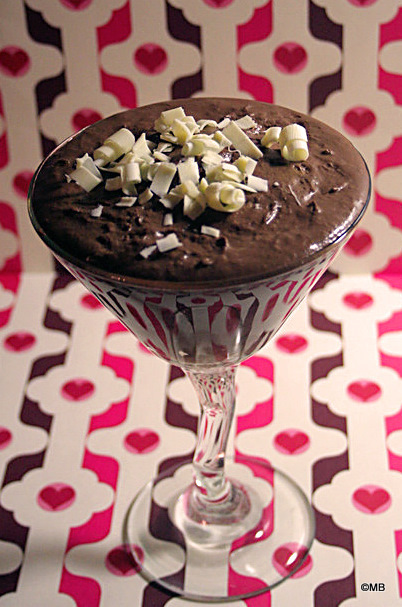 And it is; as long as you can beat egg whites you will do a fine chocolate mousse! I think the only “mistake” I made was pouring too much rum…. or I guess it’s just a new variation of the recipe! Of course I had not read the full recipe and was chocked to see that I had to wait at least 4 hours before eating the mousse! Luckily I had some sweet wine to drink while waiting! 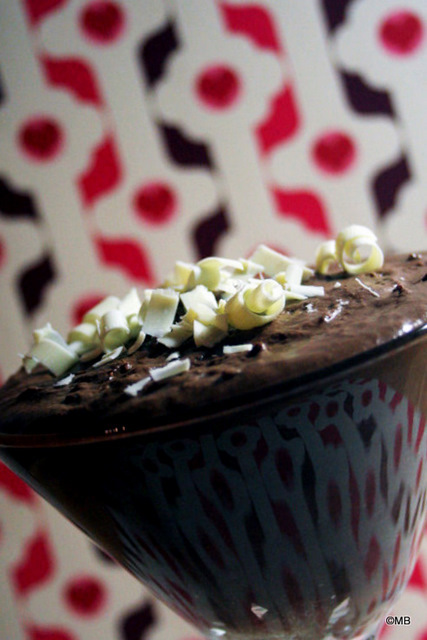 This entry was posted in Chocolate and tagged chocolate mousse, mousse au chocolat, rum, sweet wine, white chocolate. Bookmark the permalink.